We are anticipating lots of exciting events in 2017! Mostly the arrival of BookBump in April who hopefully will enjoy books as much as his big sister. BookBairn and I really enjoyed Sophy Henn's Pom Pom series of books which we discovered this year! It's no surprise then that we can't wait to read her newest character creation in 'Edie', a little girl who always loves to be helpful! Edie helps her mummy wake up bright and early, she helps her Daddy to get everything at the shops and she helps her little brother with knowing what's what! 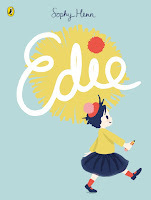 I get the feeling that BookBairn and Edie may be kindred spirits! Due for release 2nd February 2017* Take a sneak peek! Some of our top bedtime re-reads of the year have been from this fabulous series from Campbell Books by various authors and illustrators. 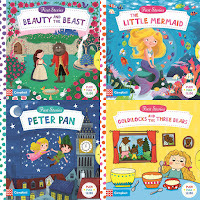 BookBairn adores the Alice and Wonderland and The Jungle Book retellings which have been simplified for little readers. But mostly she adores the ingenious mechanisms that allow her to interact with the story. 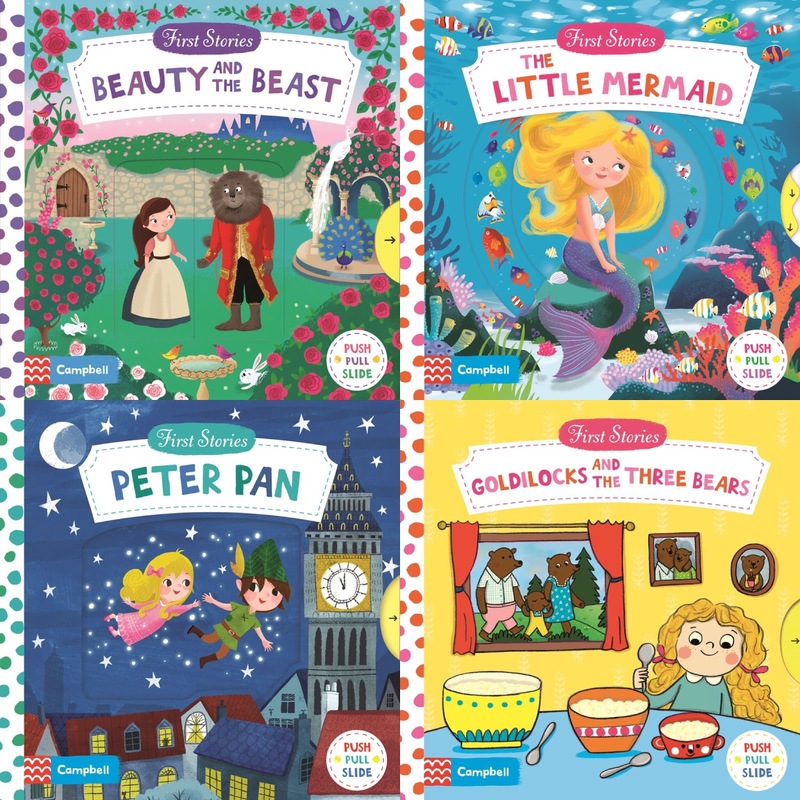 Campbell have four new versions of these books due out at various points next year: Beauty and the Beast, The Little Mermaid, Peter Pan, Goldilocks and the Three Bears. I'm sure they will be top of BookBairn's wish list! Various release dates throughout the year. Find out more here. Ok, so I included this one because I cannot wait to share this story with BookBairn! One of my most memorable teaching moments was reading this with my class and they all adored it. 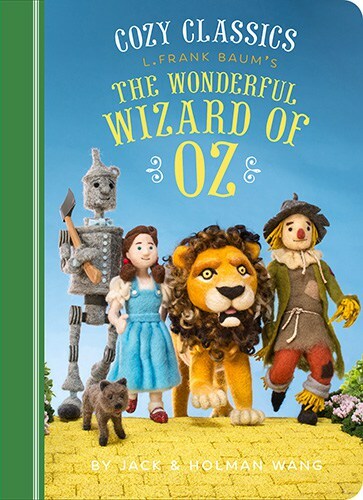 It's definitely a story to be shared across the generations and now even littlier ones can enjoy it too thanks to this clever retelling from the Cozy Classics series. The Little People, Big Dreams series is one of my favourite discoveries this year. I want BookBairn to learn about a variety of role models but would love her to have strong 'mighty girls' to aspire to. This series has two new releases next year - Marie Curie and Agatha Christie - and I can't wait to add to our collection! We look forward to reading more about the lives of these outstanding women who went on to achieve such incredible things. 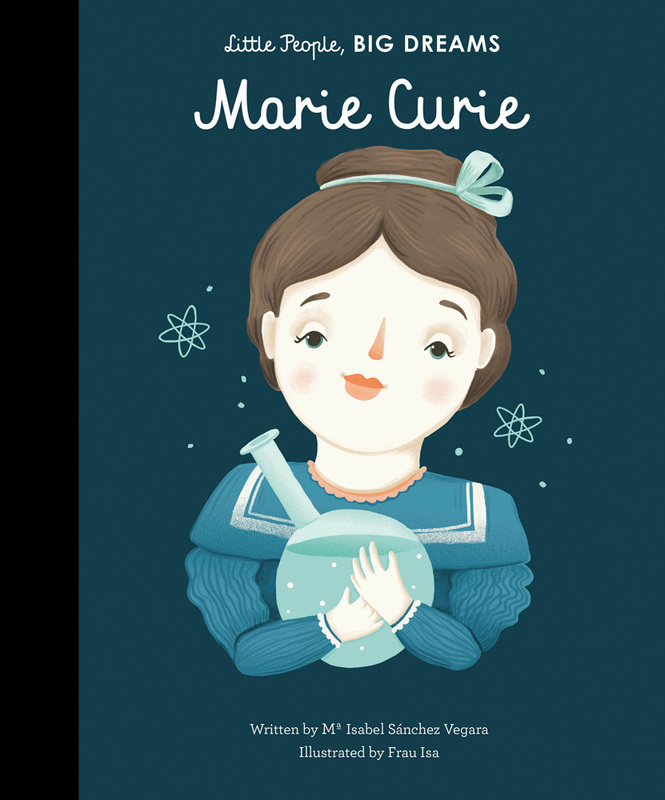 Inspiring and beautifully illustrated! A great combination! BookBairn is at a great age now where she loves to be read a real story, but the books that she often picks up to 'read' on her own are what publishers refer to as novelty books. (I think this is a bit unfair as they are equally as valuable for little readers but that's off the point of this blog post.) 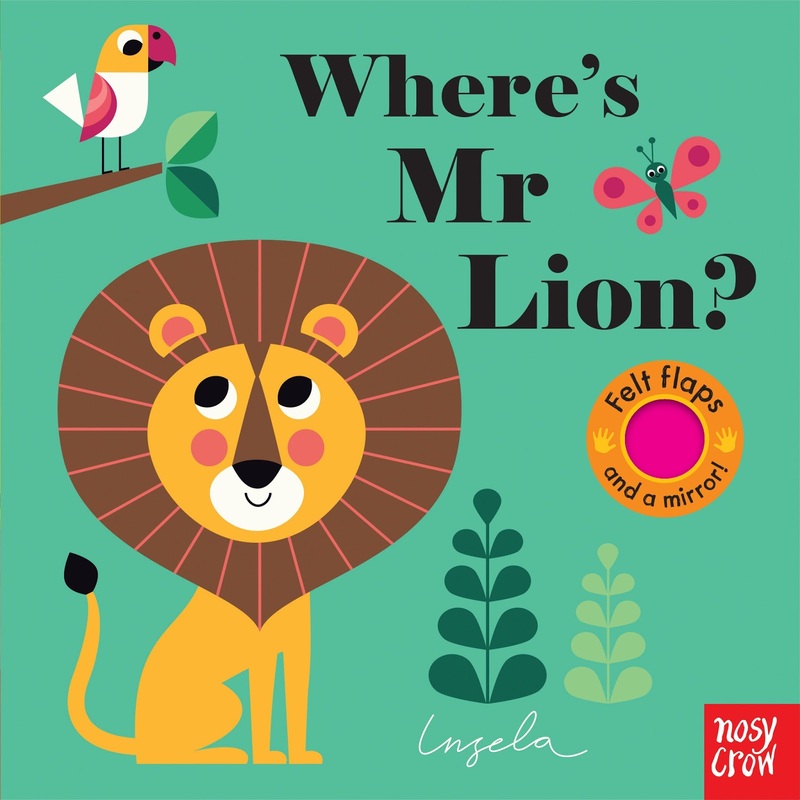 Nosy Crow have a new 'Felt Flaps' series which sounds fabulous for independent little readers like BookBairn. Described as "vibrant board books with an animals hiding on every spread - just peek behind the bright felt flap" (and a mirror too!) I'm sure they will appeal to little miss BookBairn! Where's Mr Lion? and Where's Mrs Ladybird? due for release 12th January 2017* with two other books in the pipeline. I must confess we were a bit late to the game when I finally got a copy of 'Colour Monster' by Anna Llenas but it was so worth the wait! I won't make that mistake again and we will be first in the queue for this newest release from a very talent illustrator and paper engineer. 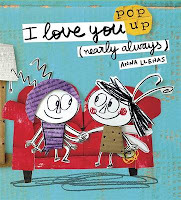 The story of a woodlouse and a firefly who are very different but that love each other completely. Until one day when suddenly being different seems very difficult. A true celebration of friendship and differences this sounds like story-telling magic. Can't wait! 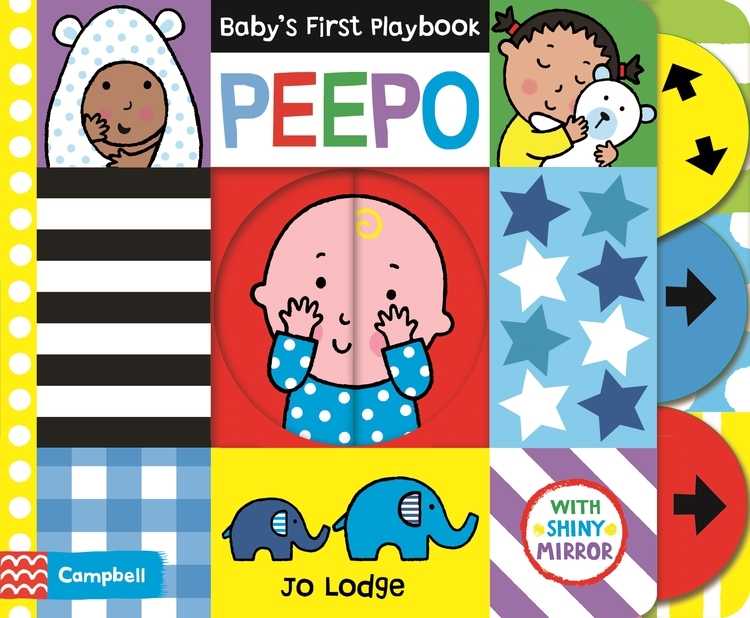 One of my delights in starting this blog was when the lovely Jo Lodge sent us a copy of her newest release -'Baby's First Playbook: Farm', another novelty book that BookBairn returns to time and time again! So it's perfect timing that her new Baby's First Playbook features a new little baby so that BookBairn will be able to share this one and read it to her new baby brother. This brightly coloured little wonder-book is one that we don't have to wait to read as the wonderful publisher from Puffin just knew that we would adore it and sent us an unbound proof copy and I can assure you it is just fabulous! I can sympathise with Will Mabbitt, I'm no artist myself but this clever story will have children captivated as this video shows! 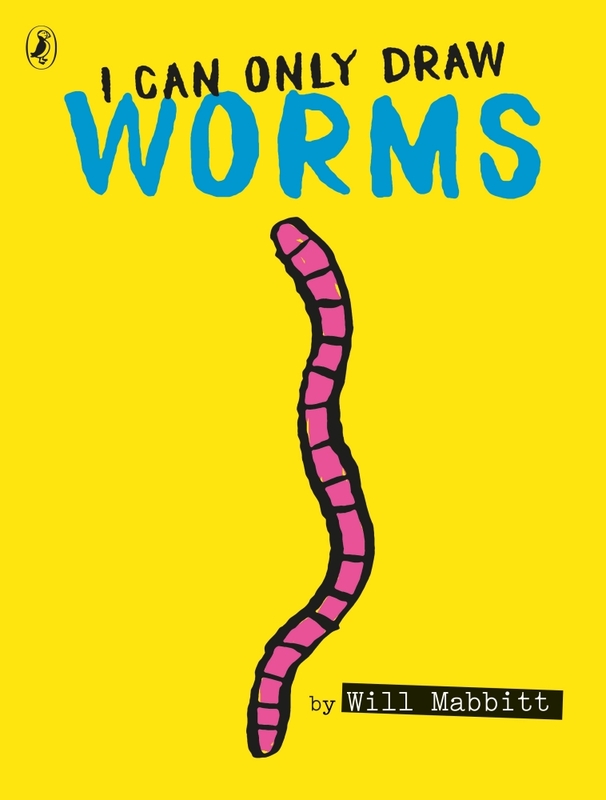 You might think worms are a bit boring but with a little bit of imagination they can get up to the most wonderful things. A wonderfully silly story (with counting and number thrown in) children will want to read this story again and again. And who can argue with a book that's so bright it makes your face look bright pink when you hold up the pages! 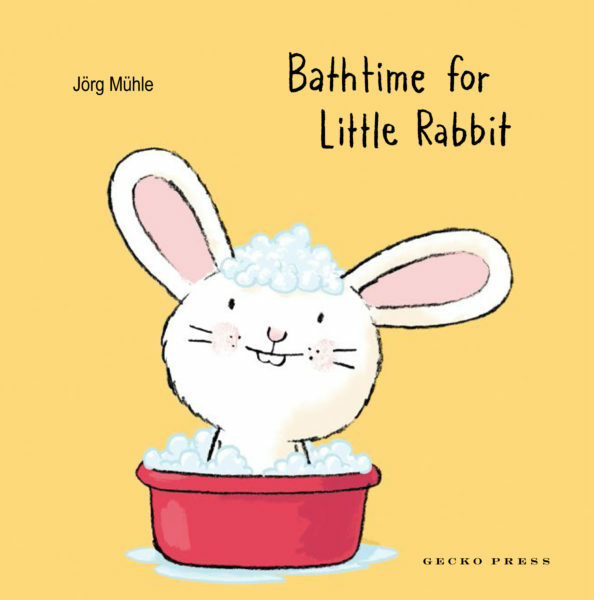 One of BookBairn's top reads of 2016 was 'Tickle My Ears' and we are so looking forward to helping Little Rabbit with his bathtime routine. 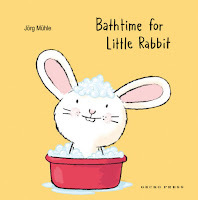 These books are great fun for children and allow them to really interact with the story of a book and not just additional elements like touch and feel. It's so clever. And Little Rabbit is so loveable! 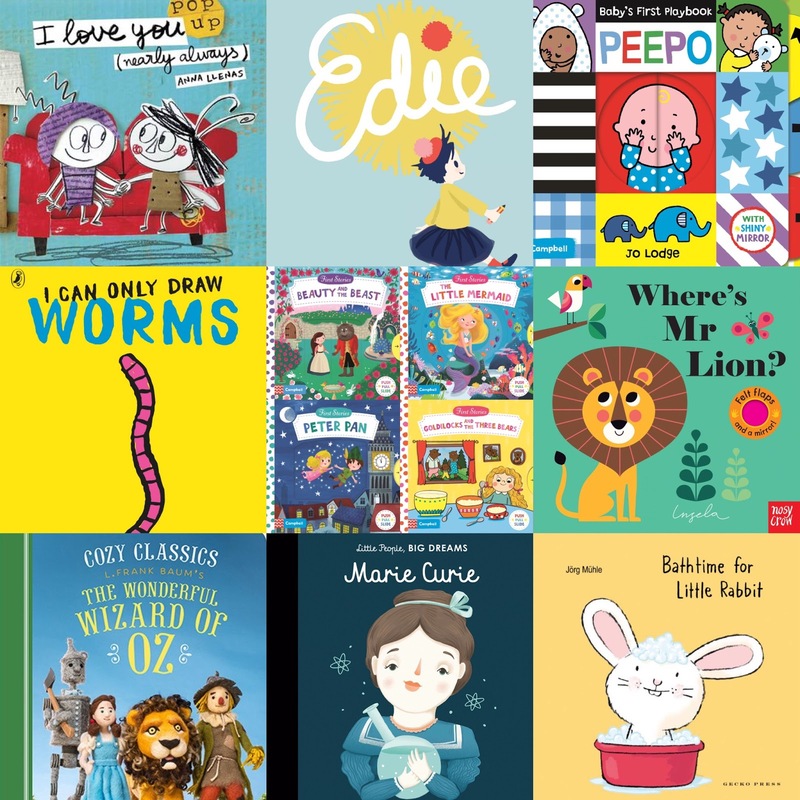 We would also love to read anything new by Emma Dodd, are hotly anticipating sequels to Nibbles the Book Monster by Emma Yarlett and Oi Dog/Oi Frog by Kes Grey and Jim Field. And if Oliver Jeffers has time to illustrate something new that would definitely jump to the top of my list! *Release dates are for UK release provided by publisher but may be subject to changes. Oh boy!!! What a year 2017 is going to be!!! Looking forward to reading all these new books with BookBairn. Happy New Year!!! Excellent! I shall look forward to seeing these on BookBairn's favourites shelf. I'm absolutely sure they will be up there as soon as we get out grubby mitts on them! Thanks Erica! 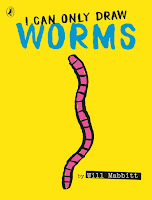 You will love I Can Only Draw Worms! Going to do a sneak peek on my instagram stories tomorrow! Me too! I see in the original Catalan/Spanish there is an Audrey Hepburn one which I would love too! There are so many great books coming out next year that it's hard to choose which ones to blog about!